Last night, just before sunrise, comet c/2012 S1 Ison was observed remotely using the PlaneWave 17″ robotic unit part of the Virtual Telescope. The sky was foggy, so conditions were less than ideal, but comet Ison showed the same. The image above comes from the average of 9 different exposures, each integrated for 120 seconds, with no filters to use all the light collected by the telescope. Images were then aligned to compensate for the apparent motion of the object, while the robotic telescope’s mount was tracking at the apparent motion rate of the object. 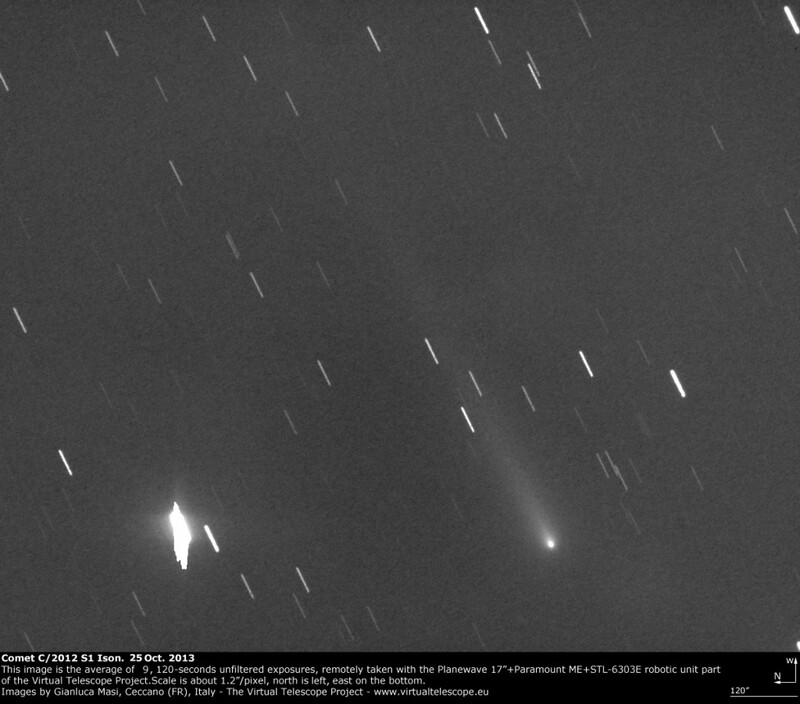 Comet Ison is showing here a 10′ long tail. Of course, this is just a portion of its full extent.